Italian scholar and theologian; died in 1492. 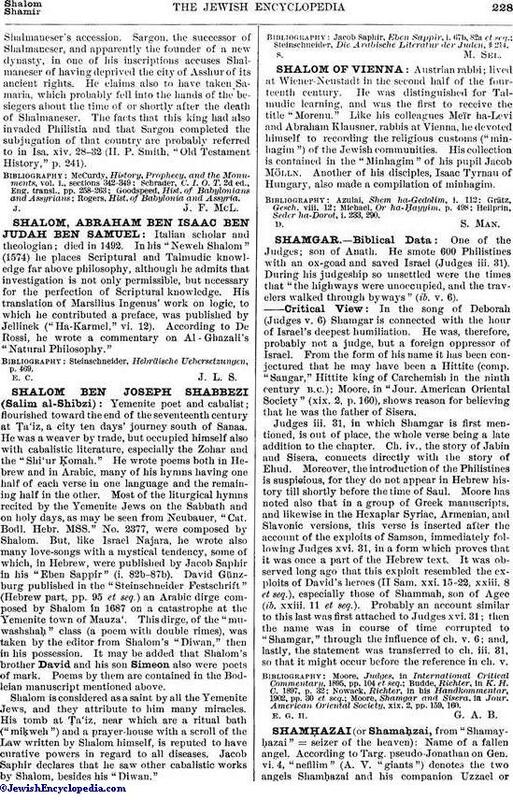 In his "Neweh Shalom" (1574) he places Scriptural and Talmudic knowledge far above philosophy, although he admits that investigation is not only permissible, but necessary for the perfection of Scriptural knowledge. His translation of Marsilius Ingenus' work on logic, to which he contributed a preface, was published by Jellinek ("Ha-Karmel," vi. 12). According to De Rossi, he wrote a commentary on Al-Ghazali's "Natural Philosophy." Steinschneider, Hebräische Uebersetzungen, p. 469. E. C. J. L. S.